CEO of the Travel Foundation, previously Head of (International) Programmes for the Travel Foundation. Experience and expertise in tourism, environmental science, and ecology. 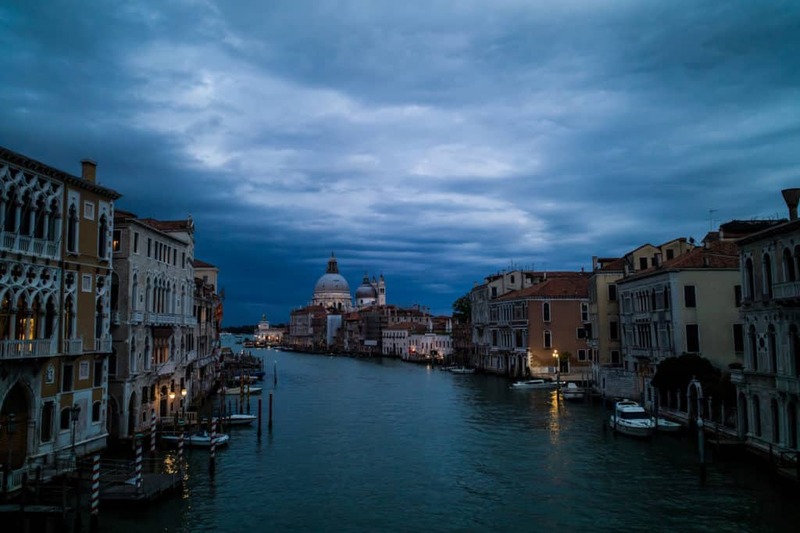 Let’s take a tour to Venice. An amazing destination (below). Piazza San Marco, Venice. Photo: Gary Bembridge. I don’t want to criticise Venice. Instead I want to use it and a few other destinations to highlight the increasing, unchecked growth in tourism. 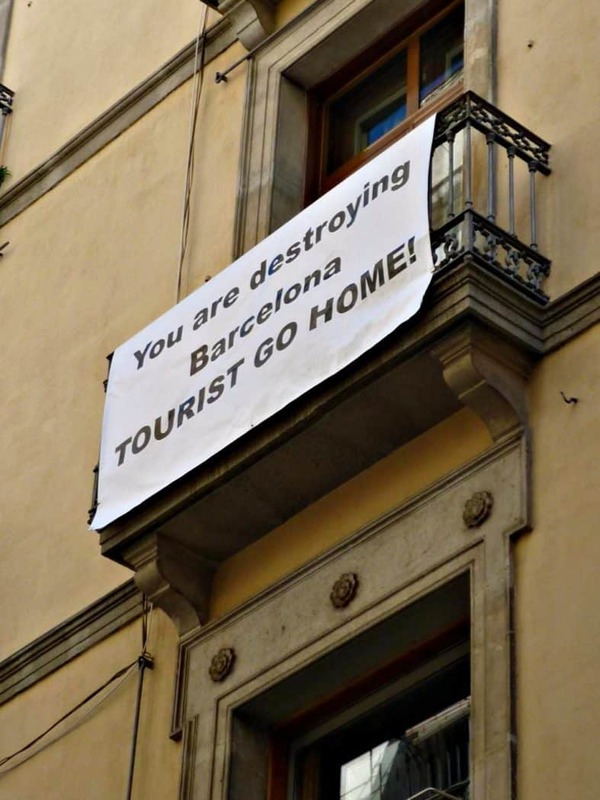 The same problem exists in Barcelona – where this sort of messaging you see at right is appearing on the streets. Or more disturbingly, “Tourism is a bigger problem than poverty”. For tourists, this doesn’t exactly feel like a warm welcome. Destination authorities are being forced to respond: “The Mayor ramps up efforts to introduce caps on visitors”. The trend continues in Berlin and many other cities that are on the global bucket list. The problem isn’t just restricted to cities. We’re seeing it on islands like Majorca, and in beach holiday destinations like Thailand. So what’s the impact of all of these people? Well, if you start with the tourists, they don’t seem to be that happy about it. 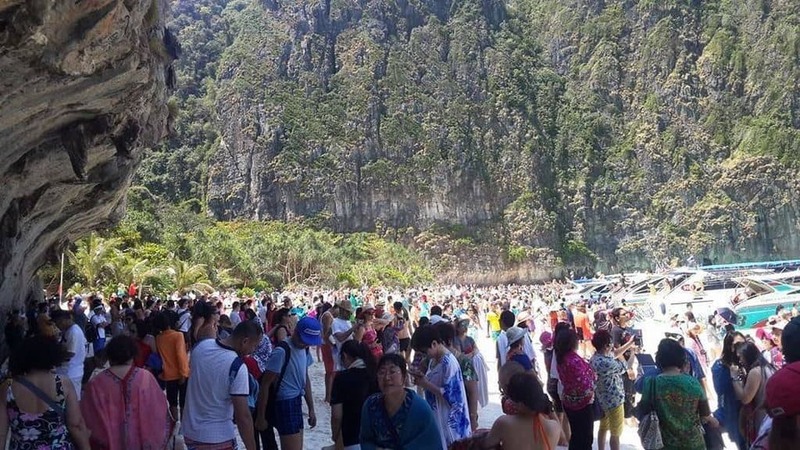 They are being very vocal in telling their friends, family, and the wider TripAdvisor world that Maya Bay is “overcrowded and horrific”. Ouch—not a way any destination wants to be described. Even more concerning, if you dig a little deeper, it quickly becomes apparent that the natural environment there is on the point of collapse. Nearly all the coral in the bay is dead or close to it. And like Barcelona, Thai officials are recognising the seriousness of these impacts. They are taking drastic action to stop the damage before it is too late. If in fact it’s not already. Now all of these examples are from within the past 12 months. It’s pretty uncomfortable reading for anyone who loves to travel. However my objective is not to be all doom and gloom. I don’t for a minute believe that tourism is a lost cause or believe that all tourism has to result in the types of outcomes I’ve shown you here. I believe that tourism as an industry has one of the greatest potentials to be a catalyst for sustainable growth and economic development, bringing much needed income into local economies. I believe tourism provides a compelling argument for the conservation and preservation of natural and cultural resources. It provides the financial means to support this. But if this is the case, why are we seeing these trends growing? How has tourism been allowed to go down this path in so many of these instances? To understand this we have to look at the root cause of the problem. You don’t need to be a genius to see that it’s all about putting quantity before quality. 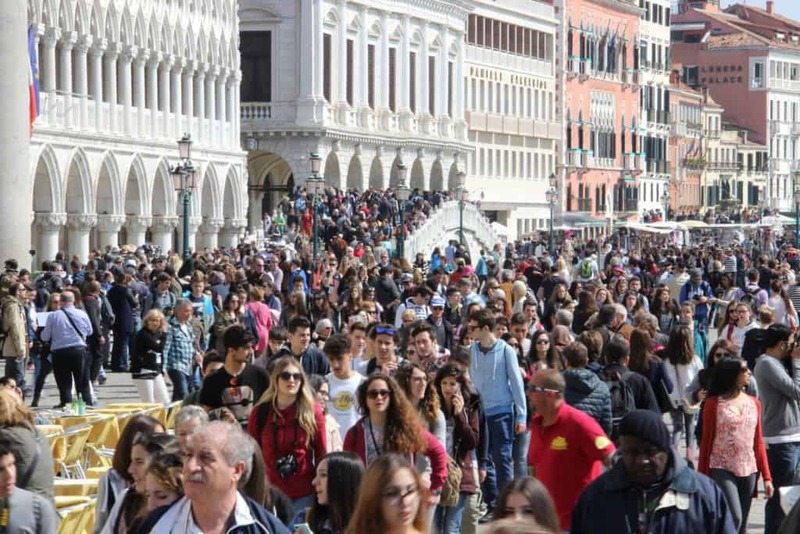 When done badly, tourism focuses only on one simple measure: numbers of tourist arrivals. The assumption is that more people are better. More people mean more money, which in theory means more benefits for everyone. The theory doesn’t always translate into practice. It’s pretty clear that the people of Venice, Barcelona, or Thailand are not realising more benefits. In the early stages of tourism development, visitor numbers can be a useful proxy indicator, as more visitors often translates into more benefits at this stage. 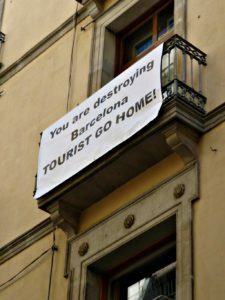 But as destinations become more established, the relationship between volume and benefits weakens and so the measure of tourist arrivals becomes fundamentally flawed. More people might be bringing in more money, but where does it go? Does it stay in the country or does it leak out? And what are the environmental and social costs of more people? Does all this money they bring in cover these costs? Whether destination residents feel that their interactions with tourists are positive. The number of tourist arrivals just tell us about quantity, not quality. 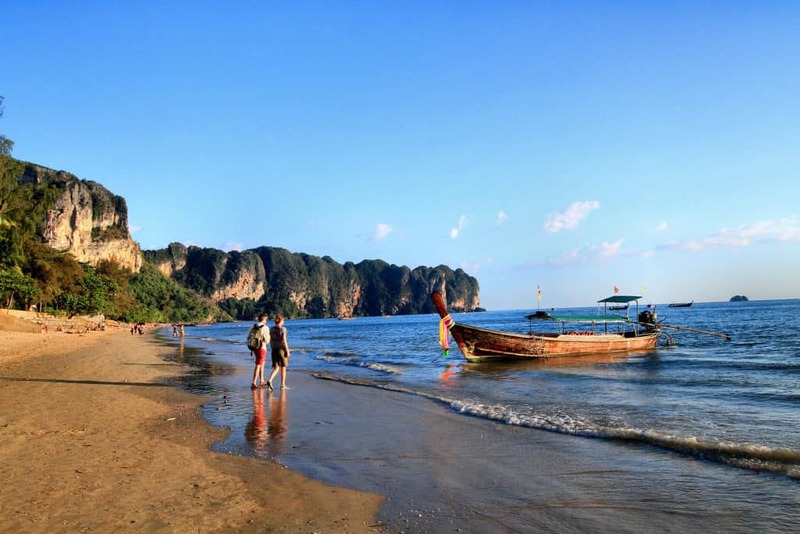 So, in order to ensure that tourism fulfills its potential to encourage sustainable development, we need to understand what impact tourism is having on destinations. We need to find ways to measure this so that destinations can do a better job of managing tourism proactively. • What types of tourism provide the greatest possible benefits at the least cost? • What is the carrying capacity of the destination? How much is too much? • What environmental and social costs will be encountered from tourism and how will mitigation be paid for? • What limits need to be set to ensure destinations prosper from tourism whilst maintaining their long term sustainability? All of these things will help destinations define what good growth looks like. If we can’t define it, how can we expect to achieve it? Understanding and measuring impacts is essential, but that’s not necessarily evident to the key stakeholders with the power to change existing practice. I’m talking about the government ministries who manage and regulate tourism and the private-sector travel companies who put together the packages that send tourists to the destinations. Aside from such destinations as Slovenia, Bhutan, and a handful of others, it appears that this message has not sunk in very widely. So let’s think first about the private sector – the tour operators, hotel chains, ground handlers, and cruise companies. Are they measuring the impacts of their activities? Do they know if their businesses are having a positive or negative impact on the destinations they are selling? Maybe for a very small handful, yes—but across the board? No. And what about the destination authorities, have they measured the impact tourism is having on the natural resources that sustain them? Or the impact tourism is having on the social fabric, such as quality employment, opportunities for small business growth, levels of crime, and the general well being of residents? Are they planning ahead and trying to attract the types of tourism that will provide the greatest positive impact? Again—a very small handful, yes, but generally, no. Why not? Because these things aren’t currently deemed to be the important measures of successful tourism. And changing it is. Over the past 10 years we’ve seen a variety of destination management frameworks being created to gather the sort of data that would be required to measure impacts. Among the numerous contributors to this effort are the Global Sustainable Tourism Council, Green Destinations, the European Tourism Indicator System, and the United Nations World Tourism Organization (UNWTO), which has published Indicators of Sustainable Development for Tourism Destinations and launched a Network of Tourism Observatories with the aim to begin implementing these new policies and measurements. So we are heading in the right direction. But it’s too slow, and there are two key issues that we still need to address. First, it’s clear that only a small number of converted champions are actually using these frameworks. They’re often ignored in destinations feeling the greatest negative impact from tourism or by the companies that help create these impacts. We need to work harder and faster at making these frameworks mainstream. To do this, we need to resist selling these frameworks primarily as a promotion or marketing tool. That is a fortunate by-product, not the reason to do it in the first place. Instead we need to show companies and destinations that these frameworks add real value. The data and information they provide show where things are going wrong, how to fix things proactively, and where the greatest benefits can be gained. Simply put, measuring impact is good for the bottom line in the long term. Without it, we are just working in the dark. That is how impact assessment needs to be sold. Second, the extra step to analyse this data needs emphasis. I’m not convinced these frameworks provide simple, clear, and practical ways for companies and destinations to analyse the data they collect. Destination authorities need to understand the material impacts of tourism. Yet, in my humble opinion, most of them don’t know how to do this. They’re still struggling to work out which indicator scheme to use! Whilst they might be collecting the data, they also need help using it to support strategic decision making. So I put this challenge to you. The UN has declared 2017 the International Year of Sustainable Tourism for Development. We need to make the most of it and ensure it results in a positive step change. Let’s work together to build a new way to measure tourism success based on impact—and by doing so, unlock its potential to support happy, thriving destinations for generations to come.